Formerly the Parliament’s billiard room, The Members’ Dining Room 1 is very different in character to the rest of the building with its exposed red brick. 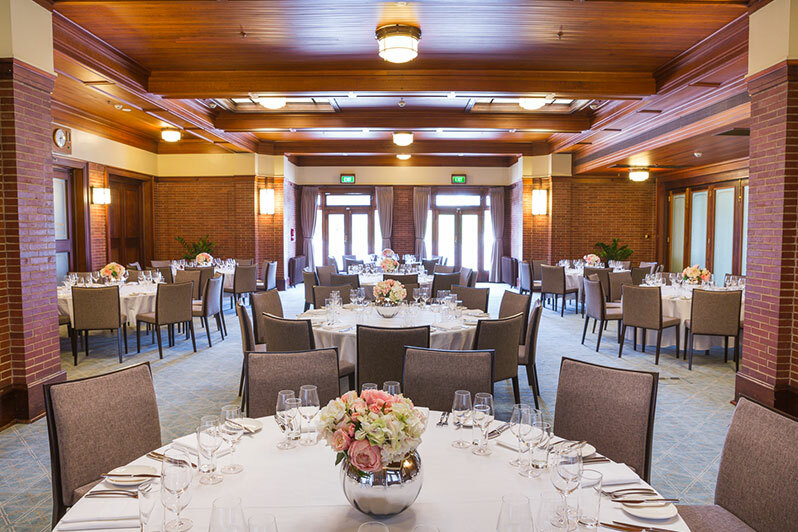 It boasts an impressive view of Australian Parliament House, stunning by both day and night, and its own outdoor terrace space that can be used in conjunction with the room, weather permitting. Originally the room housed three billiard tables and had a rubber floor and four raised viewing platforms. The three ornate metal skylights provided natural light over the tables (a very modern architectural feature for the building’s construction era), which were also lit by lanterns suspended from brass tubes. 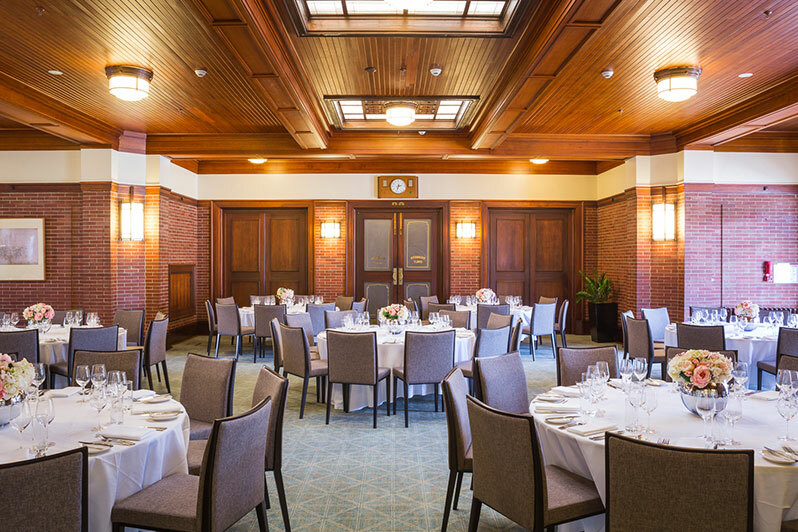 The billiards room was converted into an intimate dining room in 1947 so that it could be used along with Members’ Dining Rooms 2 and 3 to create a large banquet hall for special occasions. Another billiard room was established elsewhere in the building. In 1954 the room was further converted into the Members’ Guests Dining Room – that is, a dining room for parliamentarians and their guests.